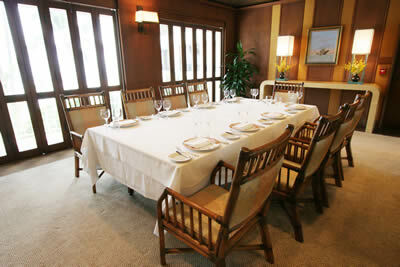 As a fine dining restaurant, La Mer restricts patrons to adults and children age 8 years and older. We do not recommend that children dine due to the lengthy service and quiet atmosphere of the room. Should children dine in La Mer, running, screaming, crying and excessive noise will not be allowed. The Manager reserves the right to offer alternative seating should other guests be disturbed. We request elegant evening attire for women. Dinner jackets or dress shirts, dress slacks and shoes for gentleman.